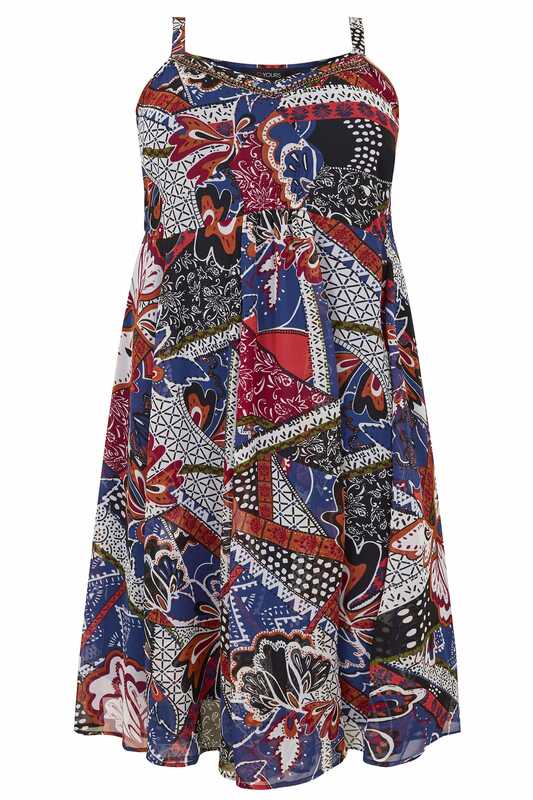 Introduce pretty prints into your wardrobe with this eye-catching dress. 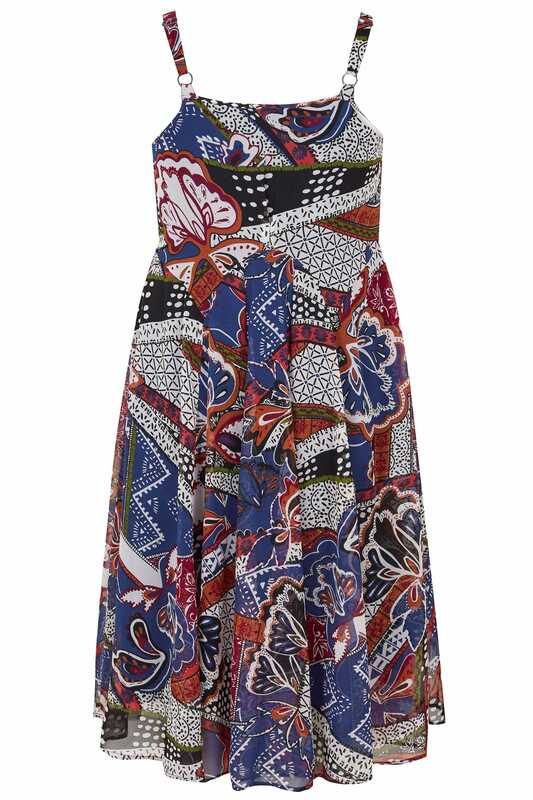 Made from a lightweight fabric, its relaxed style is cut to a knee length and features adjustable straps for the perfect all-day fit. Team with a pair of wedges for day-to-evening appeal. 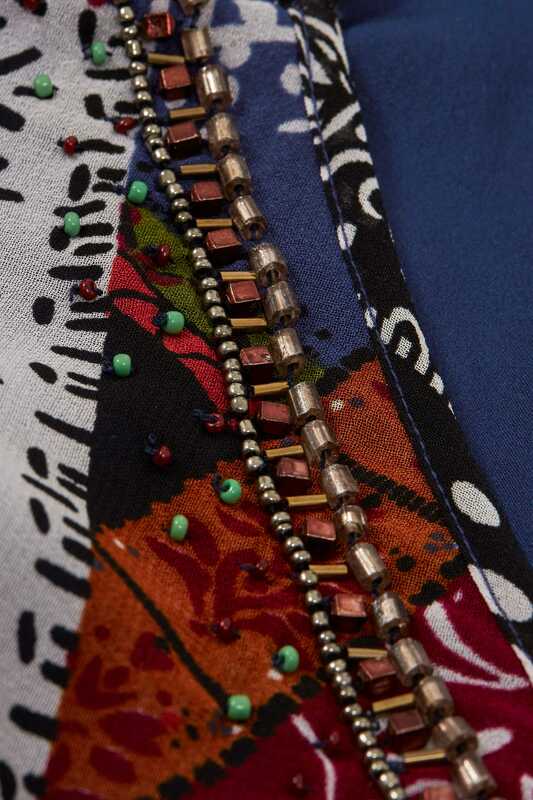 We are loving the patchwork print and sparkling sequin embellishments across the neckline.